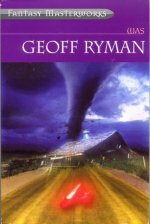 Gregory Maguire didn’t invent the game of re-imagining The Wonderful Wizard of Oz with Wicked; John Boorman’s Zardoz aside, Geoff Ryman beat him to the bunch with Was, a fantasy novel masquerading as a realist dirge. For the first few hundred pages of Was I was wondering why it was included in the Fantasy Masterworks series. The book opens with Jonathan, an actor struggling with AIDS and the role of the Scarecrow in a 1980s stage production of The Wizard of Oz and his obsessive researching of the history behind the play. It spends a little time following the career of Judy Garland from various perspectives. Most of the time, however, it focuses on the story of Dorothy Gael, a young girl sent to Kansas in the 1870s after her father abandons her and her mother dies of diptheria.